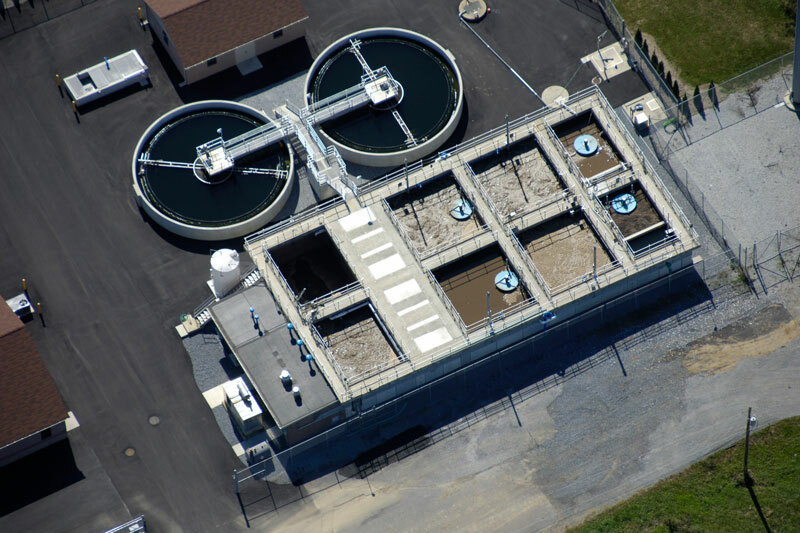 The demands on wastewater management continue to require higher standards of treatment resulting in the need for time intensive plant optimization. 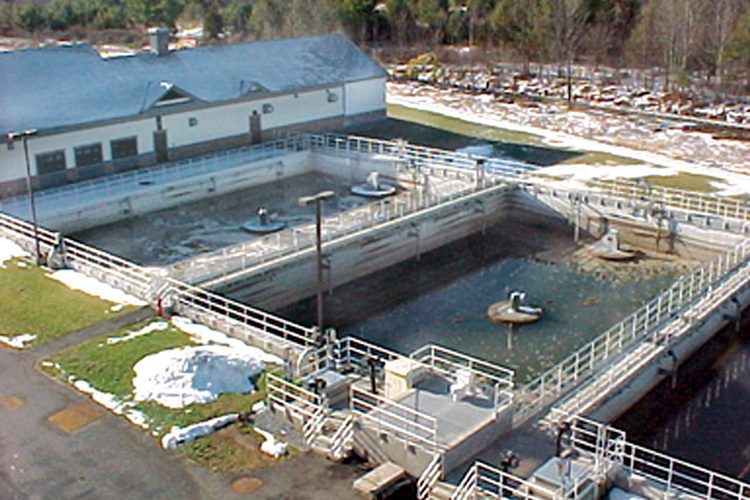 Aqua-Aerobic Systems offers a solution to these challenges. The IntelliPro process monitoring and control system provides an essential link between operations, equipment and treatment goals with the added benefit of energy and time savings. The IntelliPro system is a personal computer (PC) based program that interfaces with the biological system’s programmable logic controller (PLC) via a network connection. The combination of process monitoring with integrated comparative analysis and proactive control of the process makes the IntelliPro system a powerful process optimization tool. Process information is gathered from the in-basin instrumentation. The system interprets the data and performs process calculations that assist the operator in improving the process performance. Reacts to system conditions by proactively making changes to the process. The operator can choose to let the IntelliPro system make a change or simply be notified of a potential change. Operating parameters are calculated at regular intervals. Data is analyzed and evaluated through algorithms in the IntelliPro system, allowing a powerful array of process monitoring and automatic control functions for optimum process management. 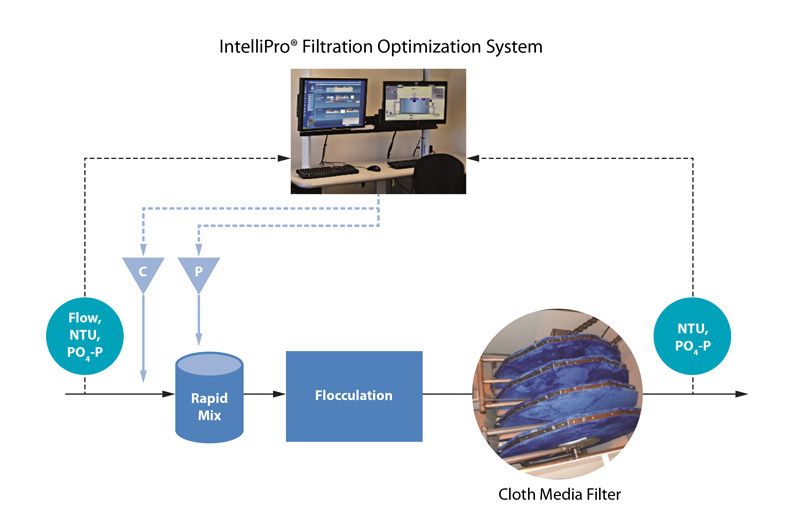 The IntelliPro® Filtration Optimization System is a PC based control system for Aqua-Aerobic® cloth media filters that uses real-time data to optimize chemical addition to meet phosphorus removal objectives. The system features automatic, optimal-dose selection for metal salts, polymer, and pH adjusting chemicals. 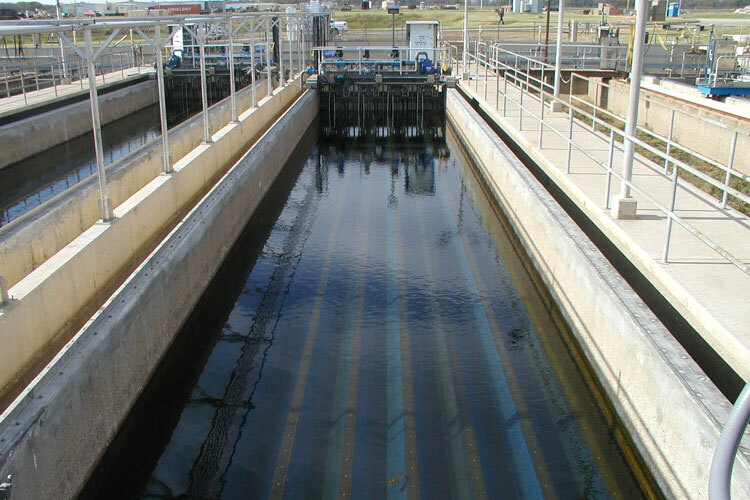 The IntelliPro system is an efficient and economical solution to assist treatment plants in achieving low level phosphorus objectives while minimizing the expense associated with costly chemicals. Instrumentation with mounting and communication module. PC with IntelliPro software developed by Aqua-Aerobic Systems, Inc.
Network settings to allow communication between the instruments, the PLC and the PC. Process, instrumentation and software onsite training. Free online support, including troubleshooting and software updates. Reduced risk in meeting low-level phosphorus limits. 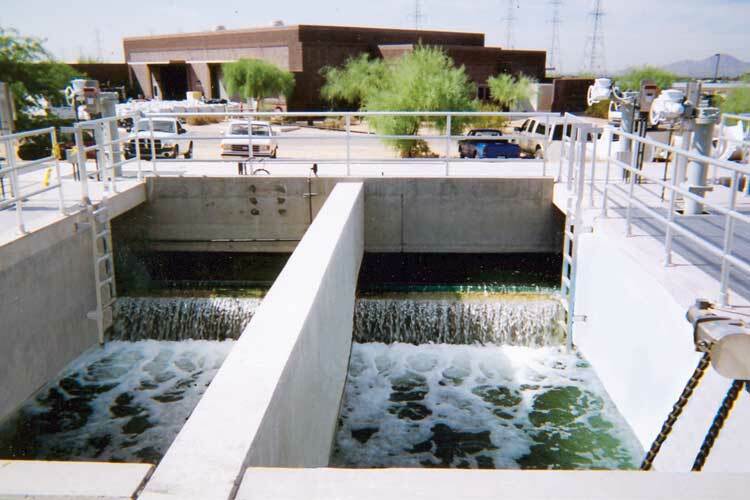 By providing real-time feedback on the actual concentration of phosphorus leaving the filter, and the potential remedy for deviations from effluent requirements for system, greatly reduces the risk of permit violations based on deviations from given requirements. Cost savings associated with much reduced and more efficient chemical addition. 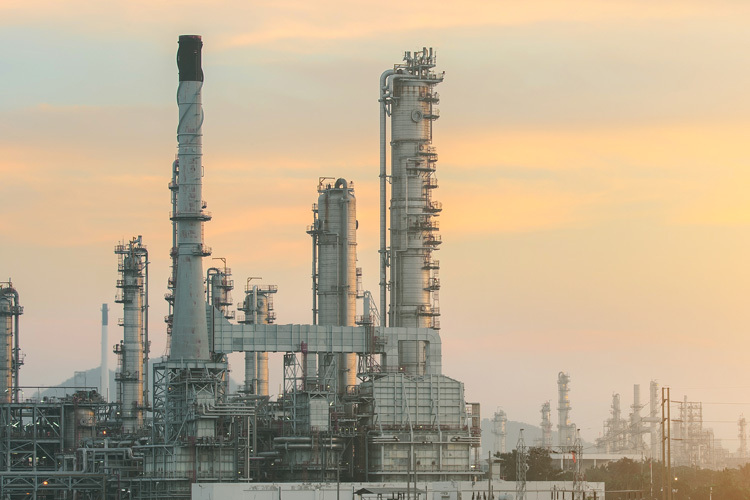 The real-time feedback offered by online phosphate meters means that safety factors, while still important, can be minimized and can be made more efficient, greatly reducing chemical addition to a plant. It is estimated that by controlling the chemical dosing based on influent loading and effluent concentration, a plant where chemical is dosed on a fixed basis can save up to 50% in chemical, and a plant that uses flow proportional dosing can save 20-30% in chemical. IntelliPro System helps Key Largo, FL WWTP Save $10,000 a Month! 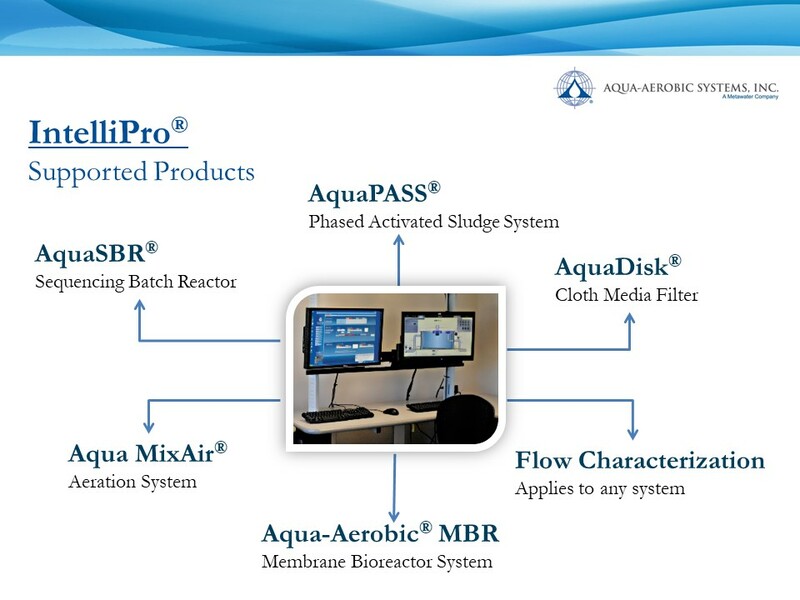 Success Story Key Largo, FL Key Largo incorporates IntelliPro® System with new AquaSBR® System for enhanced process control. 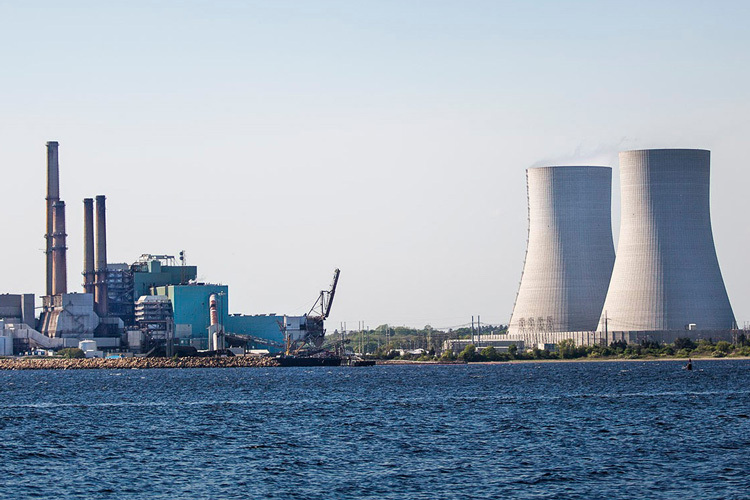 Article WaterWorld Editorial Feature IntelliPro® helps optimize plant performance.